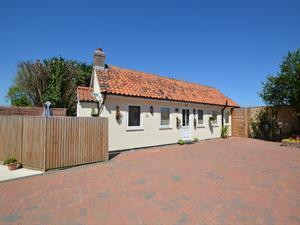 Smithy Cottage01263 715779work01603 870304fax Self-cateringBlofield Heath is nestled right in heart of The Norfolk Broads offering an ideal base for exploring the sandy beaches of the east coast and 8 miles from the fine city of Norwich. The area offers countryside walks quiet lanes for cycling and within a short distance pubs and restaurants.The Smithy is a single storey conversion of The Old Forge set in the heart of the Broads, amongst beautiful countryside.This newly refurbished property is spacious attractive and offers a secluded patio area to spend some relaxing moments, a perfect location for a peaceful holiday. Blofield Heath is nestled right in heart of The Norfolk Broads offering an ideal base for exploring the sandy beaches of the east coast and 8 miles from the fine city of Norwich. The area offers countryside walks quiet lanes for cycling and within a short distance pubs and restaurants.The Smithy is a single storey conversion of The Old Forge set in the heart of the Broads, amongst beautiful countryside.This newly refurbished property is spacious attractive and offers a secluded patio area to spend some relaxing moments, a perfect location for a peaceful holiday.